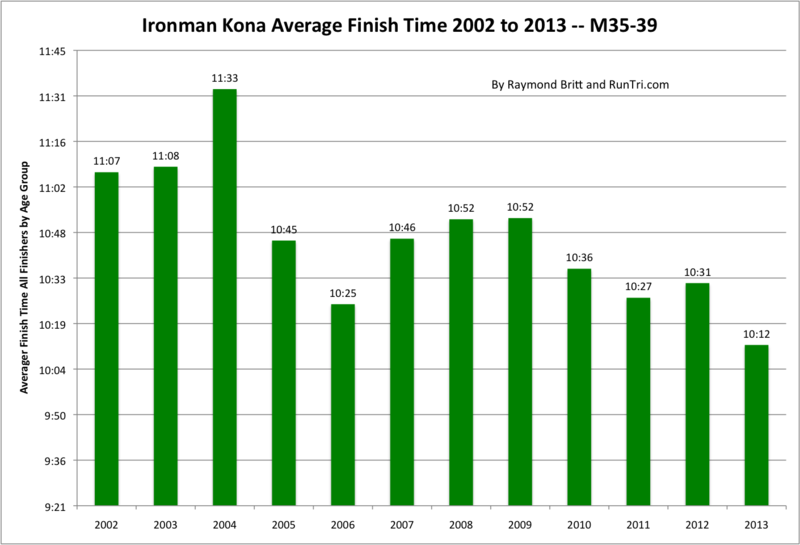 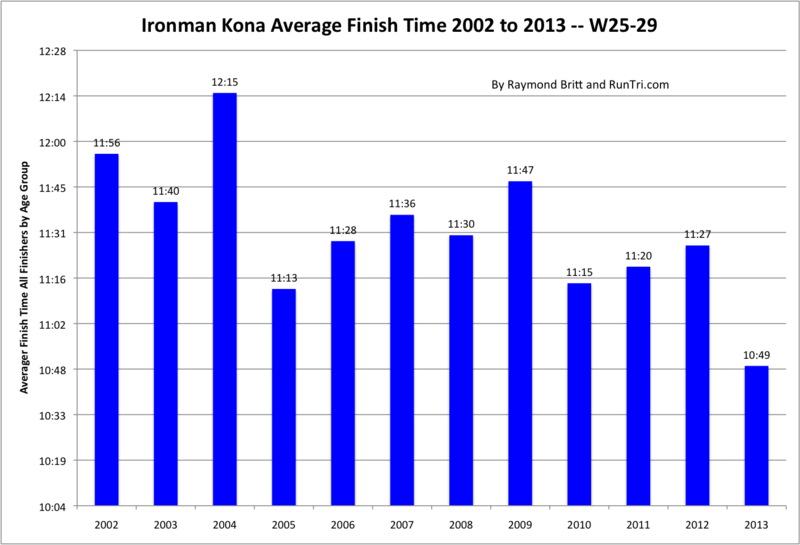 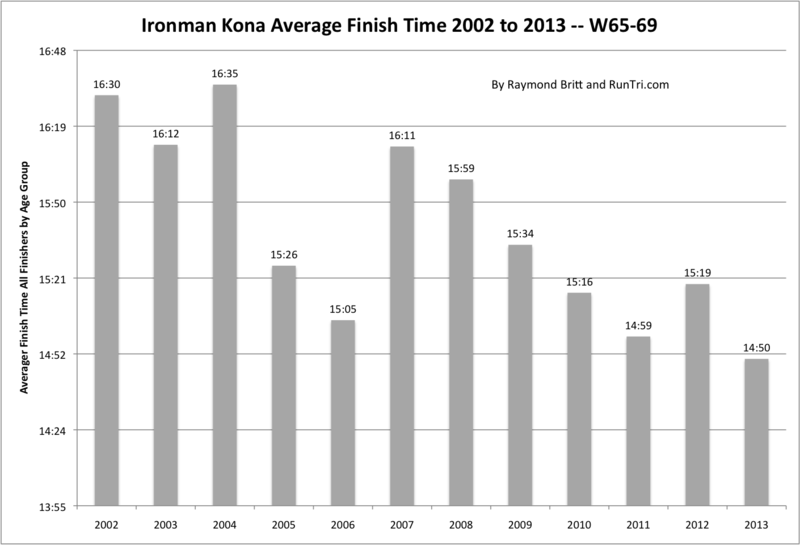 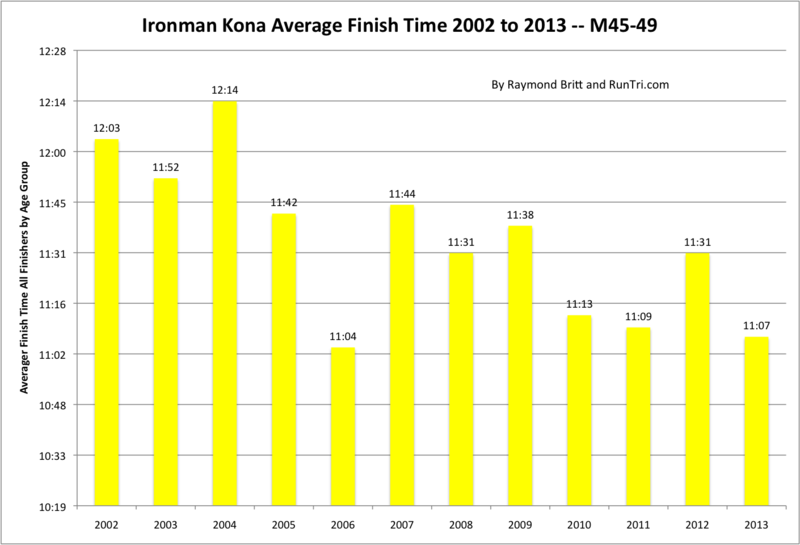 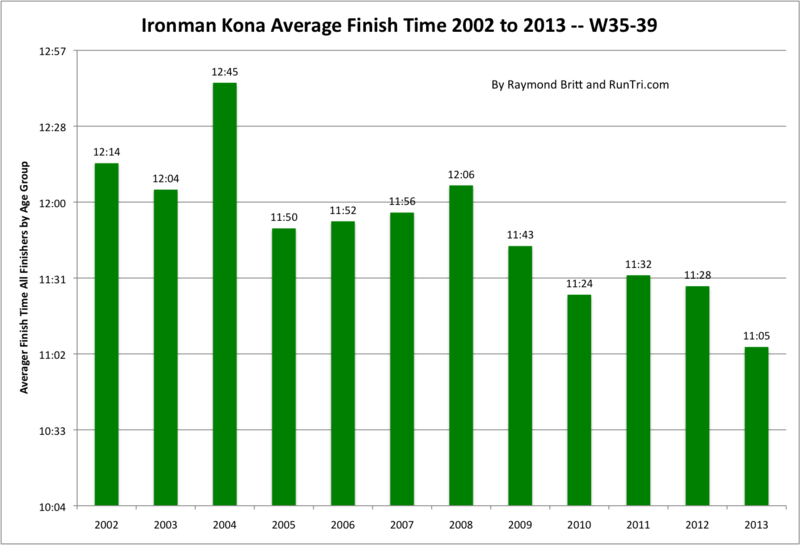 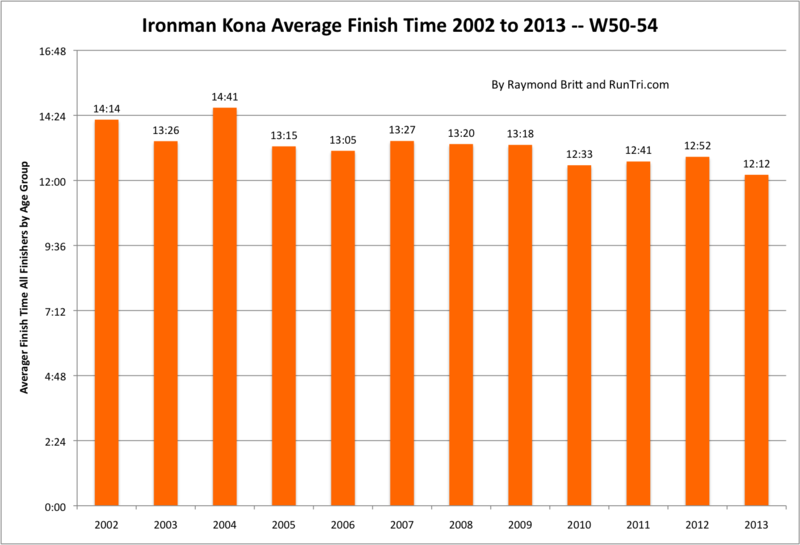 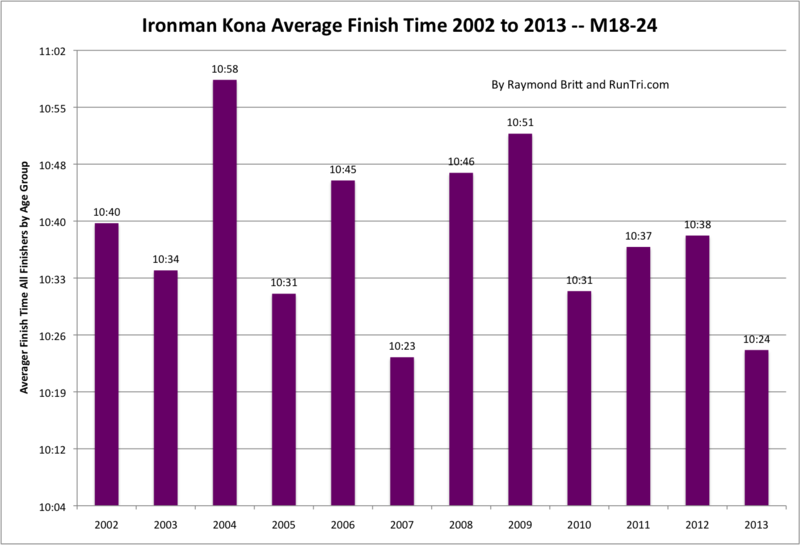 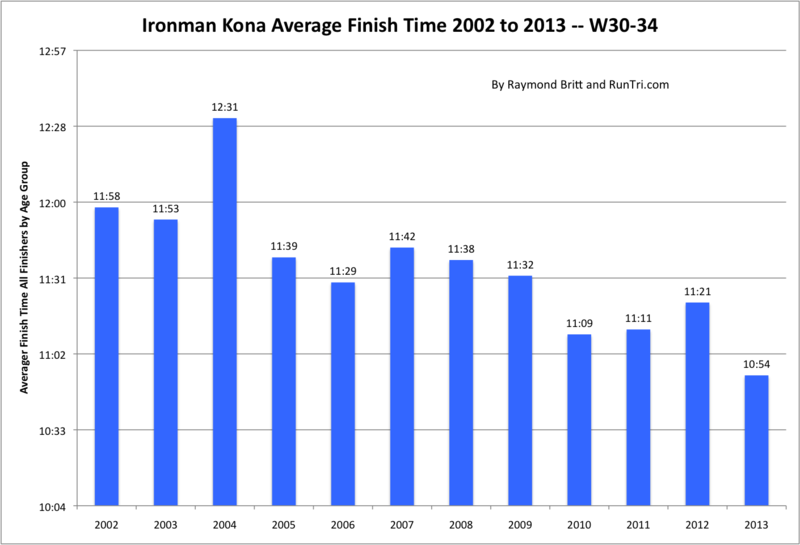 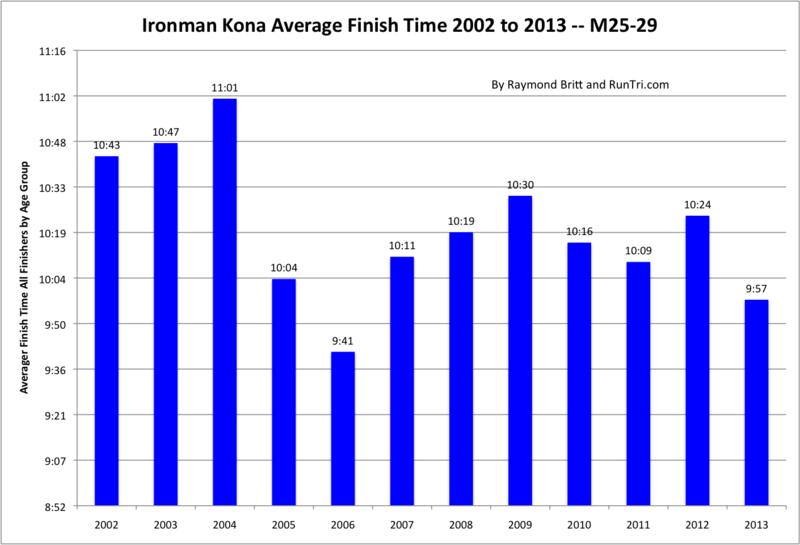 How Long Does it Take to Finish Ironman Kona? 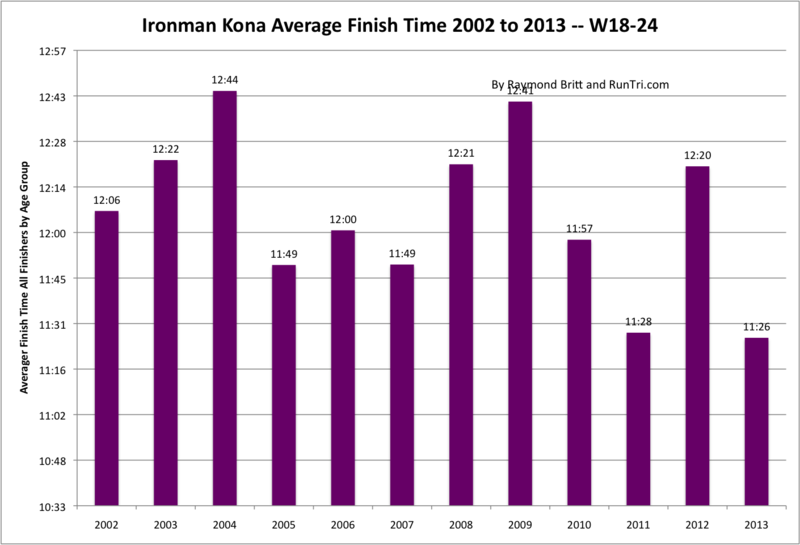 There's really no easy answer; our analysis from 2002 to 2013 shows finish times can vary by a full hour. 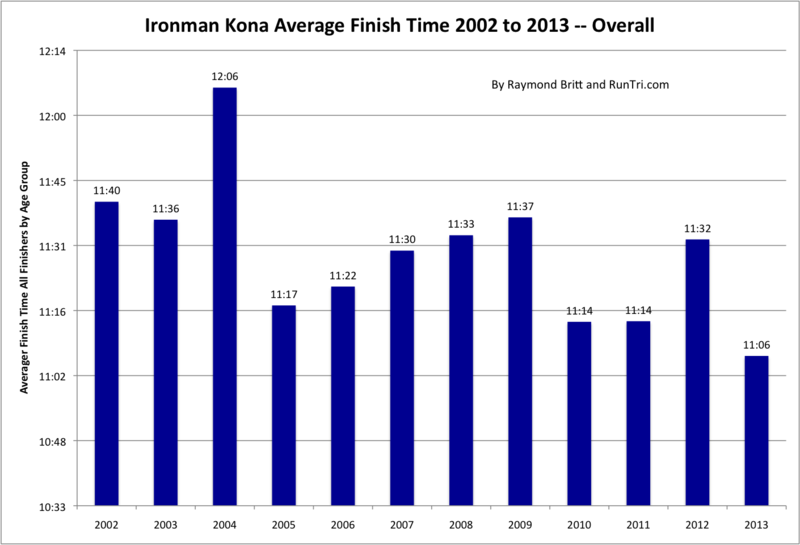 We know from personal experience, having finished Kona in 2002, 2003 and 2004. 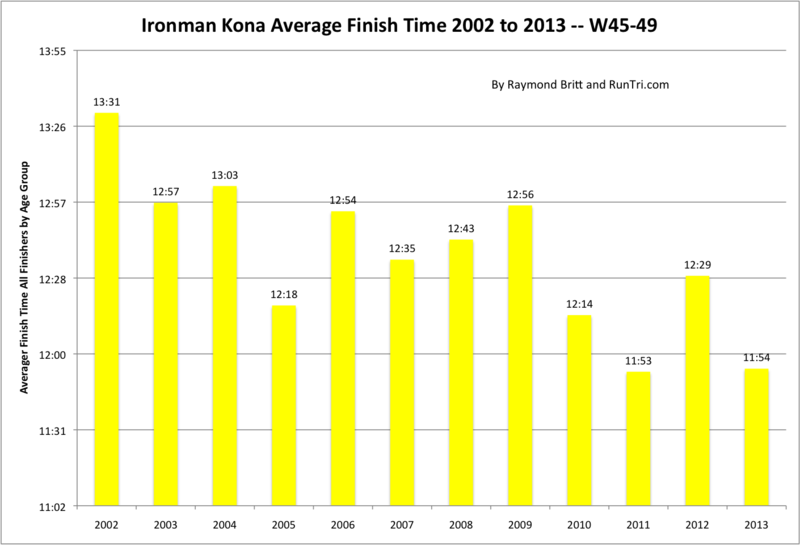 The extremes? 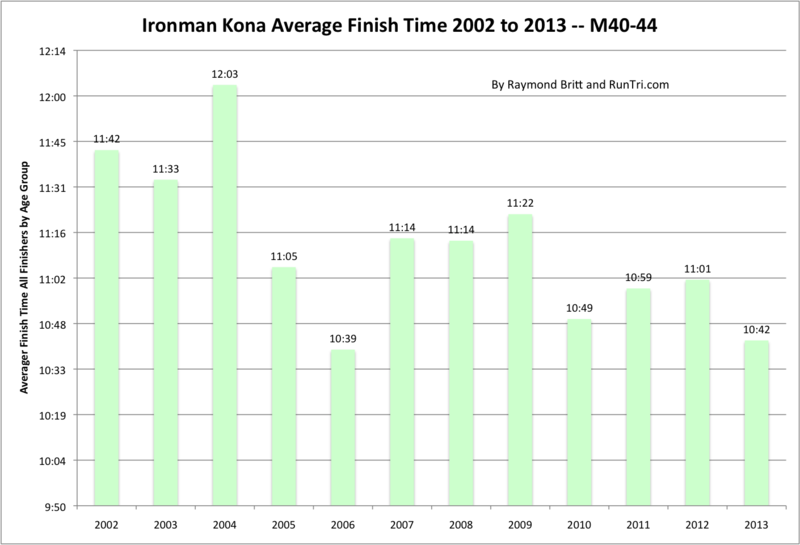 In 2004, the average finish time was 12 hours 6 minutes; in 2013, the average was a full hour faster at 11:06. 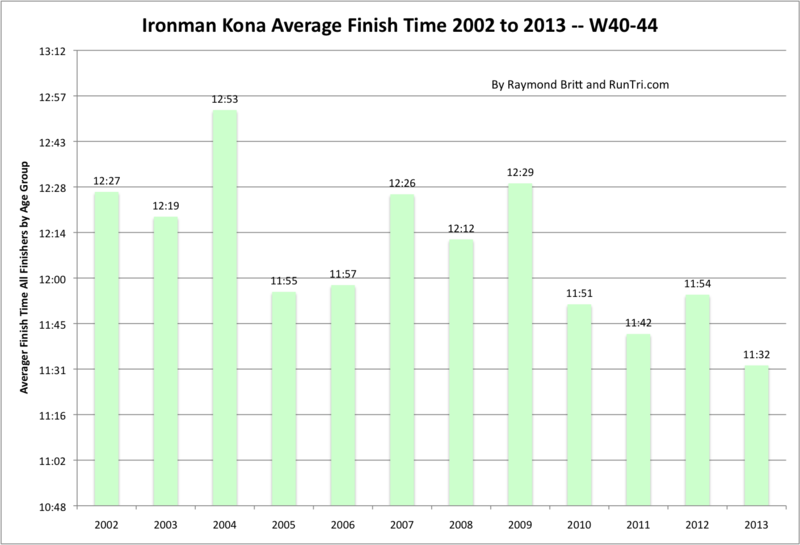 Same course, same world class athletes, roughly the same number of athletes. 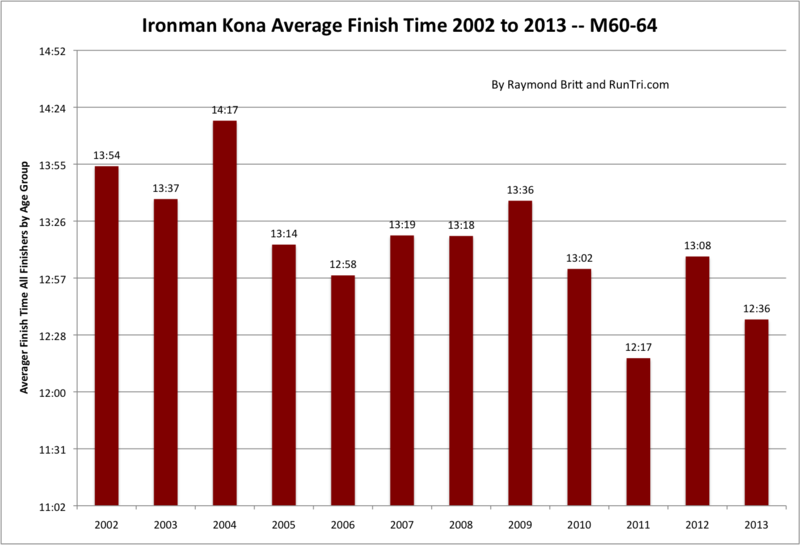 How variable can finish times be from year to year? 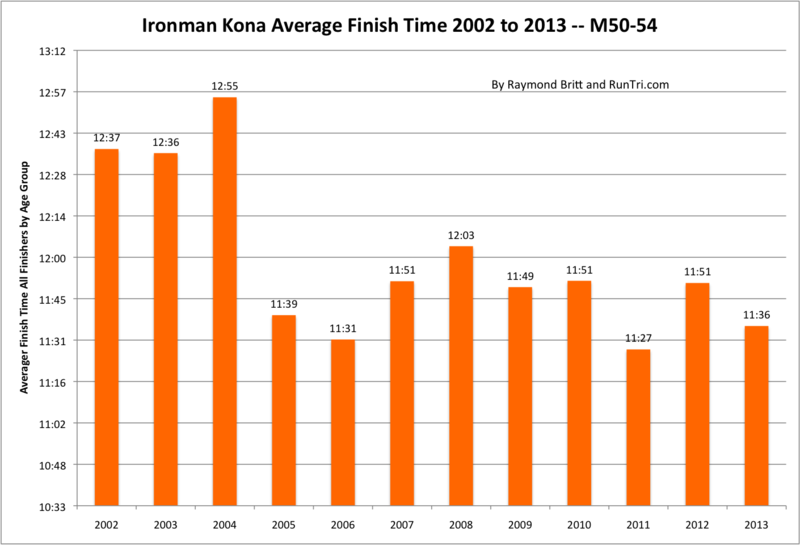 There's no real standard pattern; we don't see faster finish times each year. 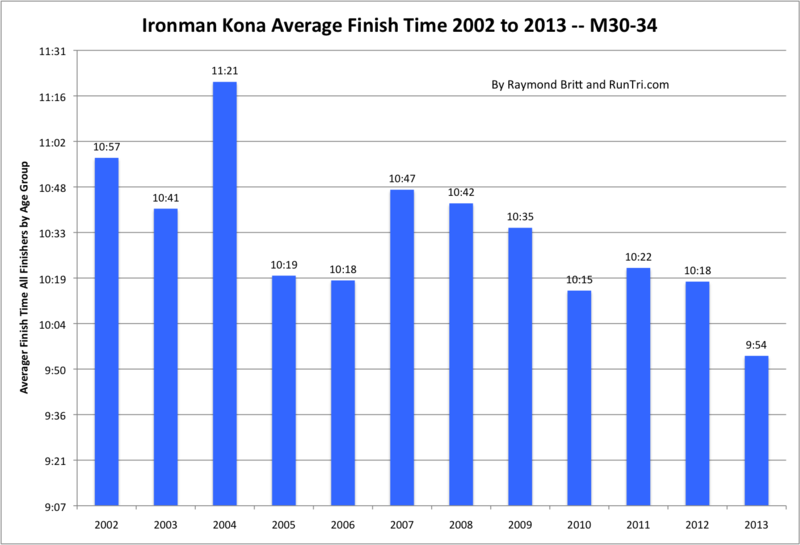 So what's the main difference? 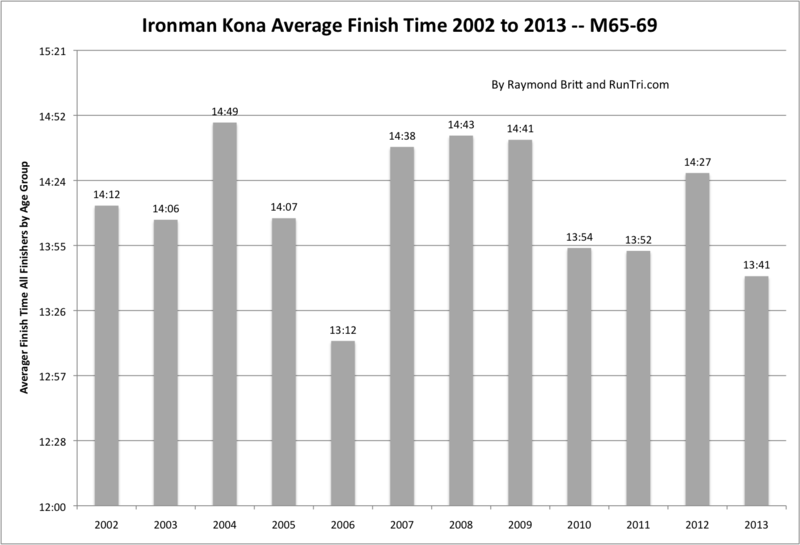 Kona's a blast furnace experience like no other triathlon in the world. 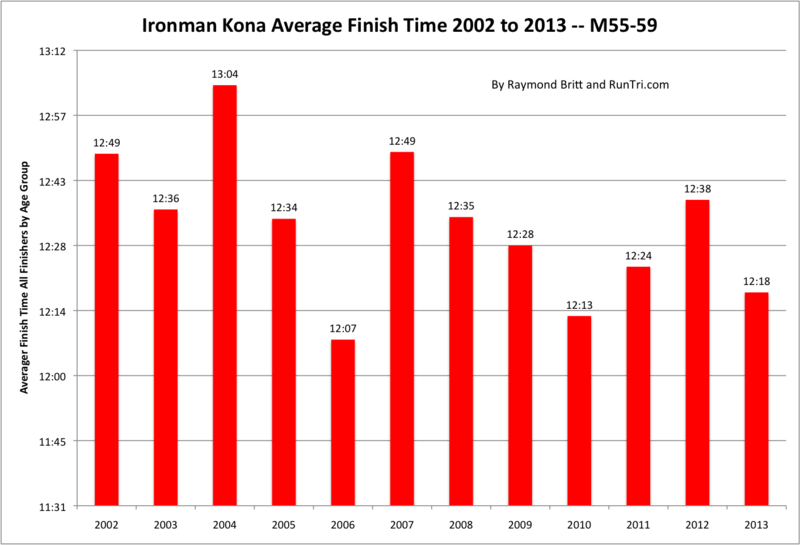 It can crush you, or, in some years, the winds will be somewhat merciful; but it's never easy. 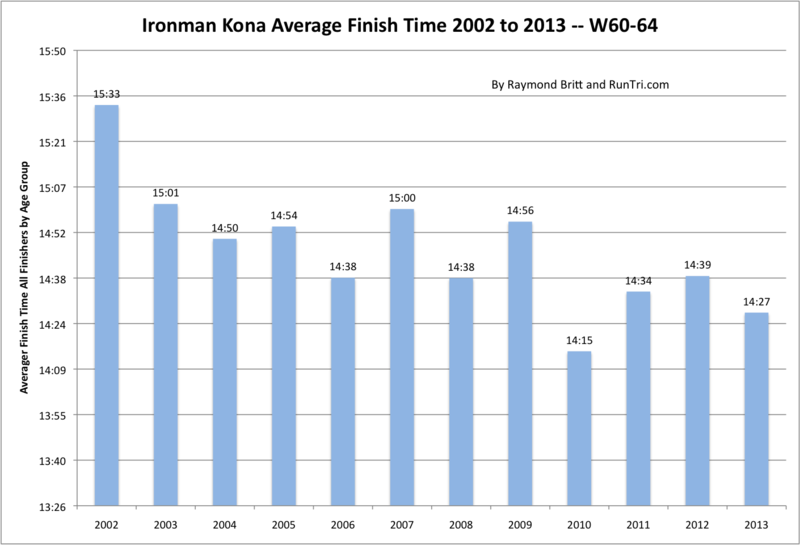 We've run the numbers for All Ironman Kona World Championships since 2002, and further segmented the annual average times by Age Group for each year. 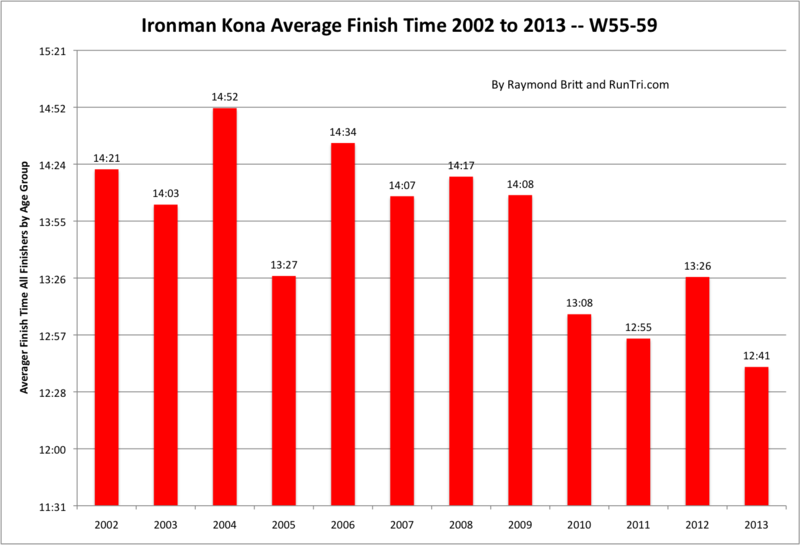 Here are the results of our analysis.